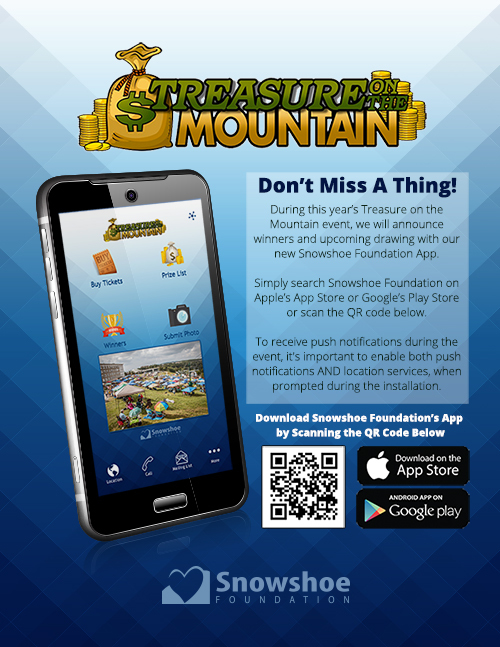 The Snowshoe Foundation is dedicated to providing financial support directly and through several local community-based organizations whose efforts target improving life quality for residents in Snowshoe, as well as Pocahontas, Webster, and Randolph Counties in West Virginia, and the surrounding areas. We strive to make a difference every day, in every possible way for the children and families in Central West Virginia. We are an independent, 501 (c3) non-profit organization. Our board of directors is comprised of concerned, compassionate individuals from within the local communities that we serve. Our goal is to work together with those who are able to actively improve the quality of life for residents in the local area. We believe that a chain is only as strong as its weakest link. Therefore, we seek out opportunities to strengthen the fortitude of our children, families, and local communities wherever and however possible. We also accept direct donations and the generous time contributions of volunteers. 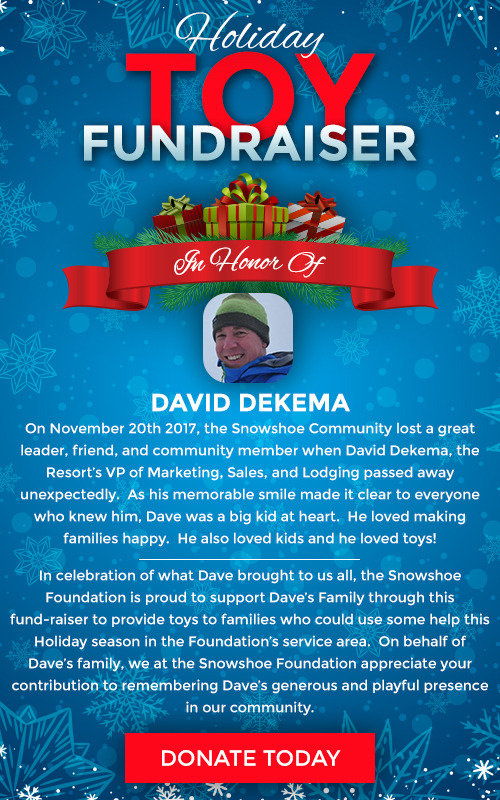 The premier benefits held by the Snowshoe Foundation are some of the finest and most thoroughly enjoyable events held in the entire region. Our Board of Directors and volunteer workers give their all to bring an immense amount of goodness and hope to our area. From distributing toys, contributing to local food banks, awarding scholarships and grants, to delivering buddy benches, books, art materials, and so much more, we are pleased to see that the Snowshoe Foundation continues to grow thanks to your kind assistance.